In Spring 1997 Leonard Cohen, or Jikan - as the other monks at the Zen Center of Mount Baldy near Los Angeles used to call him - started to contribute to The Leonard Cohen Files with colour copies of sketches, paintings, drawings and computer art taken from his numerous scrapbooks. Cohen also gave his permission to show any of these on the pages of this "Blackening Pages" section. Several works of art have never before been seen in public. He wrote: I want to send, among other things, the first manuscript scratchings for Suzanne and other early songs. I'd like to make the process clear, or at least throw some light on the mysterious activity of writing. 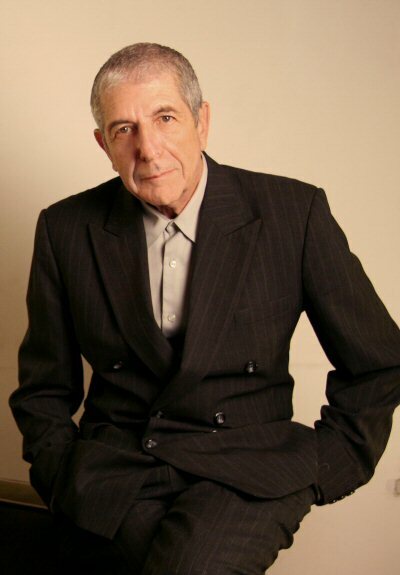 Later we have received more unique contributions from Leonard: a number of previously unpublished poems written on Mt. Baldy, Mumbai, Los Angeles, and Montreal. Many of these poems were later printed in Book Of Longing, a collection of 167 new poems and more than 40 line drawings and colour art, published in Spring 2006. Love Itself - for L.W. © 1997-2016 by Leonard Cohen. Reprinted here with Leonard Cohen's special permission.